Posted by admin on Sep 21st, 2018 and filed under Frontpage. You can follow any responses to this entry through the RSS 2.0. Both comments and pings are currently closed. Owelle Rochas Okorocha is at the verge of making history among the governors who have ruled Imo State in the past if words from his mouth are considered. Okorocha has boasted that he would break the jinx of Governors who governed the state and couldn’t produce their successors at the end of their tenure. Trumpeta can report that Okorocha disclosed that the jinx of governors having their choice candidate emerge successor will be remedied in 2019. According to him, “if is a jinx that no governor can transmit power properly to his successor I will break the jinx. Speaking at a public function during the swearing in of new appointees in Government House, Owerri this week Okorocha added “Udenwa did not and Ohakim did not. I will put my life and blood to see that I break that jinx. Anybody that cannot deliver his ward has no business to be here”, he was quoted to have told appointees and associates at the venue. Continuing, the governor said “if we cannot deliver Nwosu, then we have not done justice to the Rescue Mission. If you are a commissioner there is need now that you go to church in your area. We will go to the churches, villages to engage the opposition. We have the stories that can destroy what they are doing”. Speaking on the prospects of Uche Nwosu, his son inlaw as next governors by his calculation, Okorocha said “when Uche Nwosu becomes the governor, he will have no business building roads and developing the Owerri Urban cities. Today, Uche Nwosu is the immediate past Chief of Staff, I pray that one day, I will shake you as the immediate past governor of Imo State”. On what to expect of him before he quits office, Okorocha said “this administration will end stronger, the remaining 7 months left for me, I will do the same I did in 7 years in office’. I will repair all the schools in the state, I am sorry for some of you who say that I have destroyed all the roads, it is because of the unprecedatal rainfall, I wonder if the rains are “Acidic”. I assure you that we will put them in order”. “I want to assure you that my people empowerment programme will kick off. It will start with the first names that will be submitted by the traditional rulers of our communities”. “My government is a government of the poor; I have come to save the lives of numerous poor Ndi Imo. 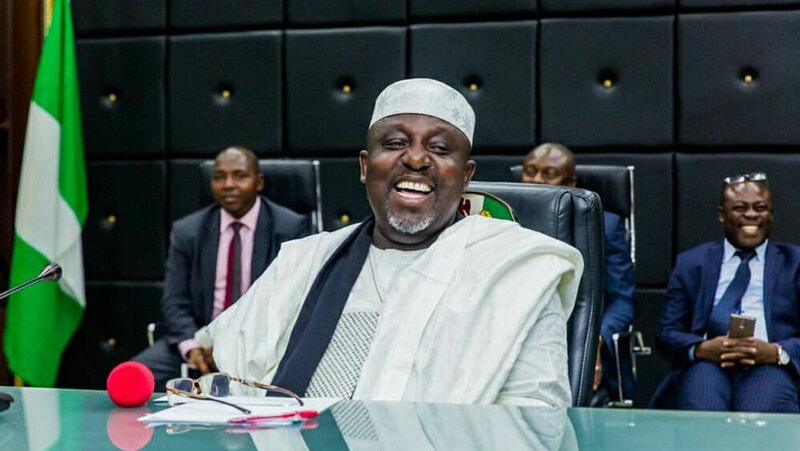 Okorocha further said the mission to install Nwosu as his successor is a divine mandate that is worth any sacrifice, including his life and blood.